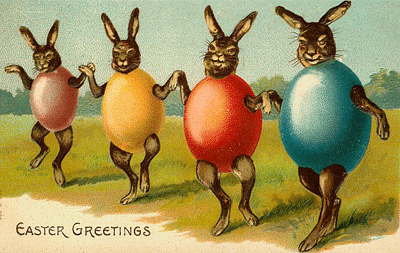 Now don't you just feel like dressing in a giant egg suit? The eyes of the one on the right....shudder! It's better than dressing up like a crucified Jesus?